We’ve all heard the stories of overloaded fuses blowing under the pressure of an ambitious Christmas lights display, but what about the more subtle domestic dangers? When decorating the outside of your house, make sure to fasten down your trimmings properly. If a bad storm is approaching, bring the heavier objects back indoors until it has passed. 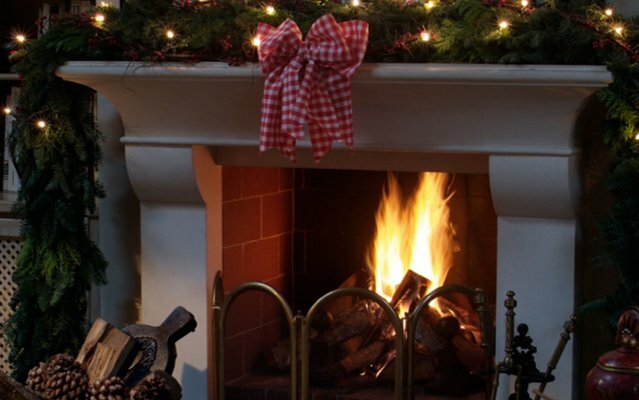 While nothing says Christmas like a roaring log fire in the living room, if you’re planning to use home-cut firewood make sure that it’s properly seasoned before you bung it in the log burner. Firewood needs to have a water content of below 20% before it can be burned in the home, otherwise it will cause a build-up of creosote in the chimney. Creosote is a highly flammable substance that once lit can quickly turn into a life-threatening chimney fire.